This is my second mount as the first one I had developed a horizontal crack in the centre of the upright. Given that I only shoot internationally, the pistol has not had thousands of rounds through it. I am, needless to say, disappointed in the product, which I purchased in 2015. Hopefully the new one will last a lot longer. However, the service from Double Alpha has been excellent and I shall continue to be a loyal customer. I purchased the original double alpha c more scope mount with the adjustable thumb rest several years ago.it looks good and it does everything it is supposed to do. The mount has stayed solidly attached and maintains zero in spite of thousands of rounds of major power ammo.I have since purchased two more of the newer mounts with the adjustable thumb rest and have had no issues with either one. I have now used this mount in my first match and I am sorry to say that i had to leave the match as a loser. The design of the thumb rest is a big mistake. The thumb rest is mounted with a screw from the inside on the vertical side . On the first target in a long course the thumb rest came loose and the screw prevented the slide to feed the next round . I had to help the slide after every shoot (32 shoot) . Afterwards I could see how the slide was scratched by the screw . Do I need to say that i had the worst time of all competitors. Yes , I had blue screw locking but it still came loose. Please redesign the thumb rest to be mounted from the outside on the vertical side. 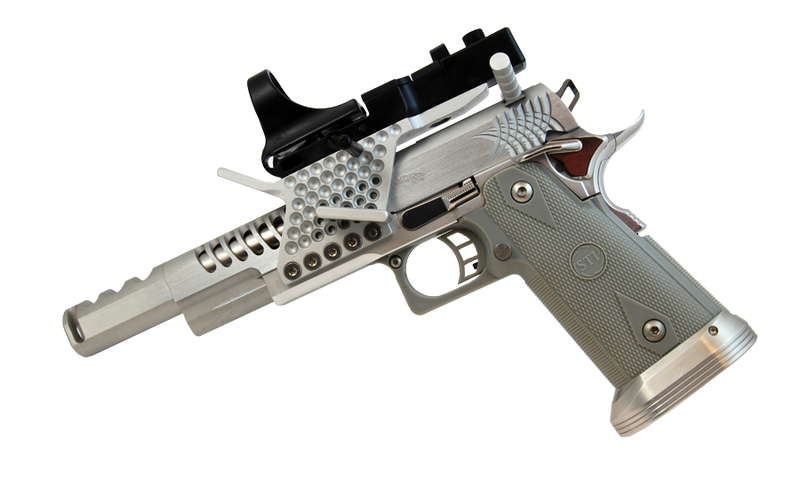 The mount configuration is a traditional C-more Upright mounting system, which is available in two color options and in heights suitable for either STI (and all 1911 and 2011 pistols) or a lower Tanfoglio model. The mount features an integral heavy duty blast shield to minimize dirt and possible debris damage to your C-more lens. Unique to this mount are steel insert nuts embedded into the horizontal mount platform, into which you screw down your C-more. In other mounts, those screws are held in aluminum, and the threads there can be damaged or worn, forcing you to replace the mount. Not with the DAA C-more mount! Steel nuts ensure a virtually indestructible thread, and the option to replace them if need be. Two stainless steel mounting screws are included, however you can use your original C-more screws a well. 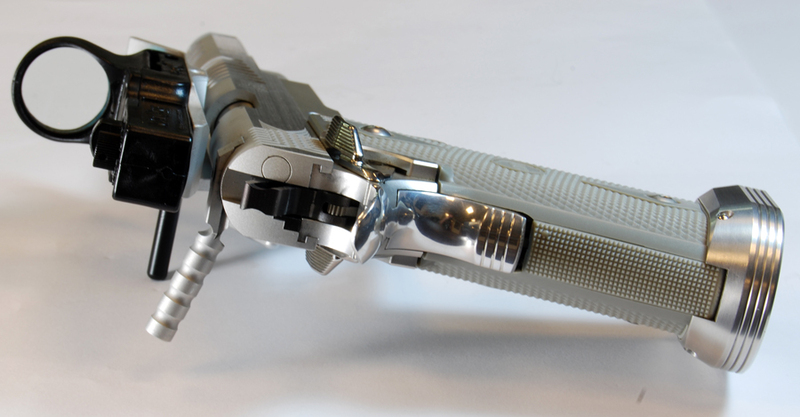 This mount features an all new ambidextrous, detachable support arm which is perfect for propping the gun up off the table, allowing a better and faster grip on those table-top start stages. 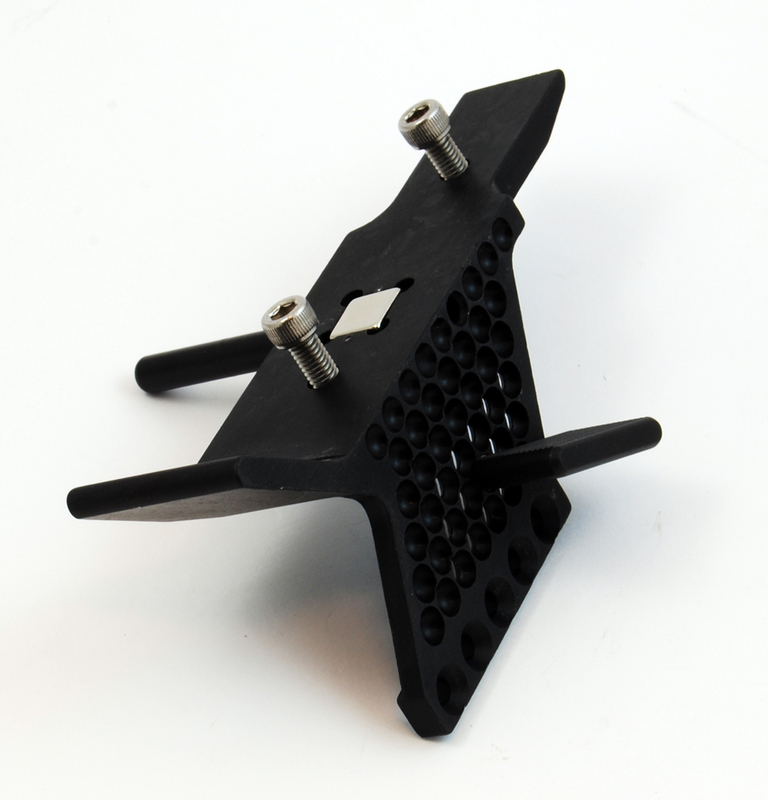 The support arm, made of a steel core with a plastic cover, clicks into place from either the left or right side, and is firmly held in place as you shoot by a powerful magnet assembled into the mount. 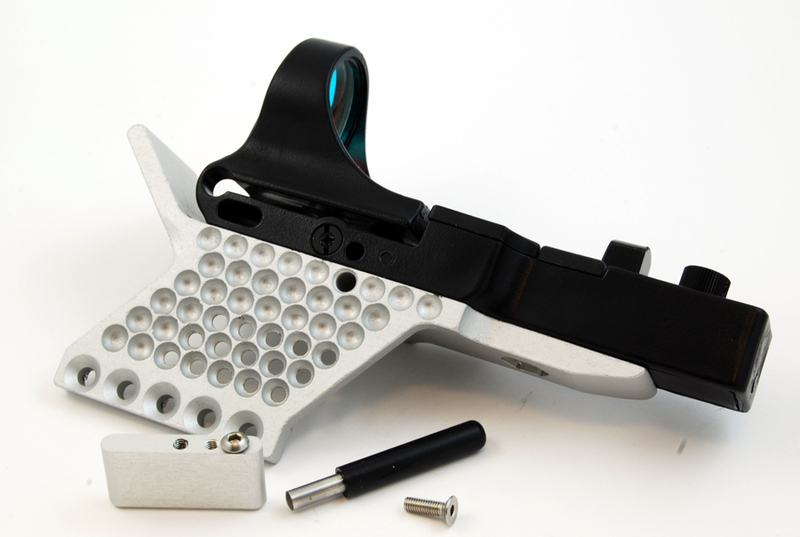 It can be removed instantly without tools to allow for easy packing of your pistol, or should you choose not to use it. 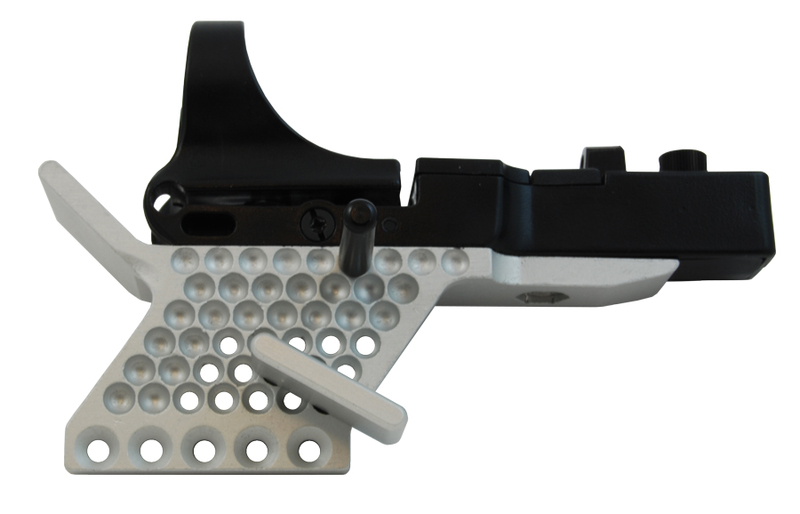 The mount includes an integrated wide (16mm) thumb rest paddle, which fits directly onto the vertical side of the mount. The thumb rest can be positioned in any of 15 pre drill holes and in each at either 30 or 45 degree angle. 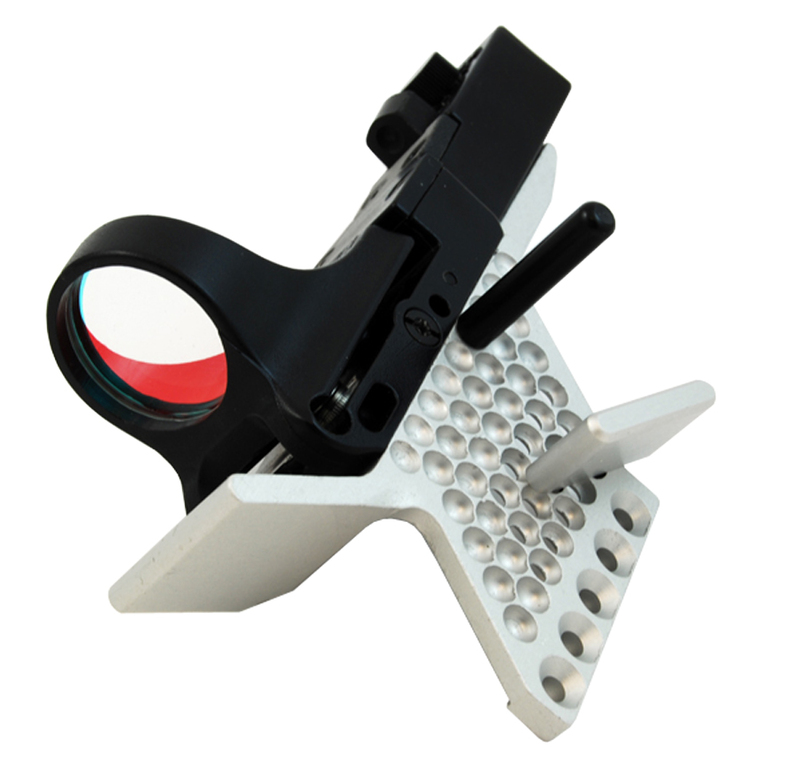 This allows each user to position the thumb rest to best fit his hand size and grip style. And of course, should you choose not to use it, the mount paddle can be removed without affecting the way the mount is assembled.